A device driver is a piece of software that tells the operating system (Windows XP, Windows 7, etc) how to communicate with a piece of hardware. For example, Windows 7 can be installed on different hardware depending on whether the computer is made by HP, Dell, Sony, etc and so in order for Windows to work with all of that different hardware, it needs a piece of software from the manufacturer that tells the OS how to communicate with the device. It is important to continually update your device drivers because doing so allows the OS to communicate more effectively with the device and thereby cause less crashes, slowdowns or errors. A new device driver may also enable additional features in that hardware that were present, but disabled. Also, it’s a good idea to have a backup of all of your drivers just in case you have to reformat your computer and you don’t have your original restore CDs that came with the computer. Also, if you’ve recently updated many of the drivers on your machine, you don’t want to have to revert back to the drivers on the original CD anyway because they are old! Having to download all the latest ones is also a very slow and tedious process. 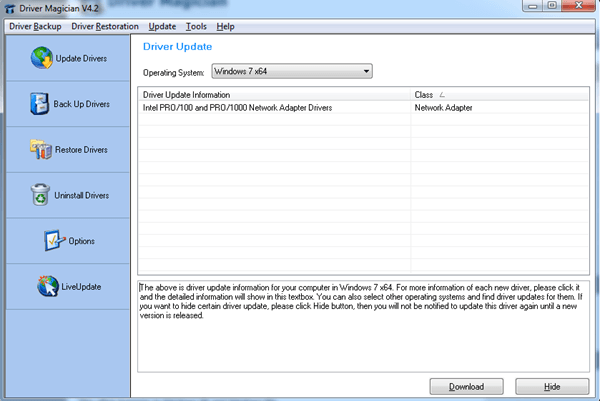 At first I was going to write a post about how you can update your drivers by yourself, but for those people who do not want to go and download lots of drivers or don’t understand how to do it, there is software that can automatically backup and update your device drivers. Some are free and some are paid. 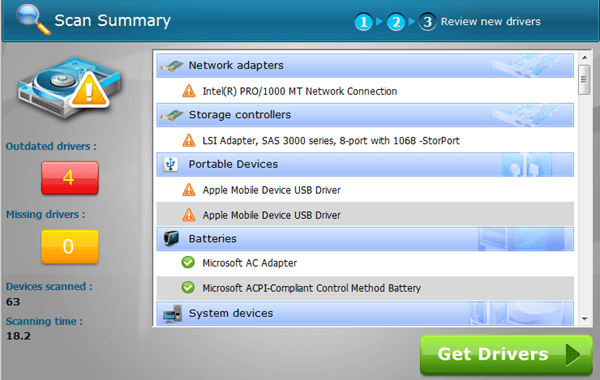 SlimDrivers is a freeware app that has all three essential ingredients: ability to find and update drivers, backup option and restore option. When installing the software, just make sure to pay attention and uncheck the box that asks you to install some other program called My Backup or something like that. It’s not spyware or malware or anything, but it’s just useless software they try to bundle unfortunately. 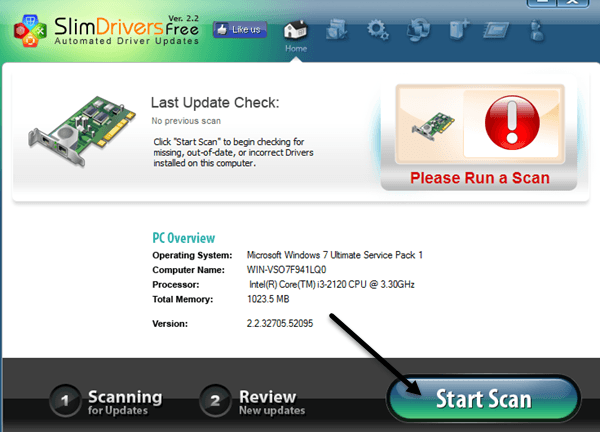 Once you install and run the program, the first thing you have to do is click on Start Scan to let the program find any needed driver updates. Once it has finished, you should get a screen that shows you the number of drivers that can be updated along with the devices. You have to manually click on Download Update and install the updates. The process on installing the updates is not automated, unfortunately, but it’s still way nicer not having to go searching for the drivers yourself. Now you just have to click Install, Next, Next. The paid version of the program will do it automatically, but it costs about $40. 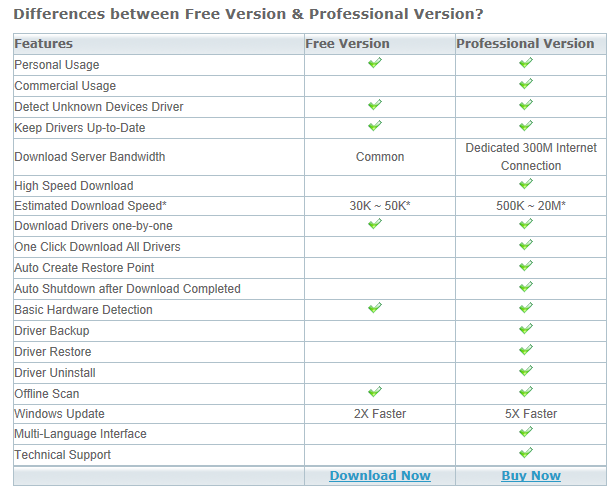 If you’re going to pay for driver update software, there are better options below. 1. There are pop up ads that show up while you are performing a scan on installing a driver. 2. The downloads for the drivers is very slow for some odd reason. It can take several minutes for the drivers to download. It’s not a big issue, but it’s annoying. Obviously, SlimDrivers is better when you compare free versions because Driver Easy doesn’t have the option to backup, restore or install drivers. As you’ll see with all of these programs, downloads of the drivers are painfully so as they are trying to get you to buy. I personally think the cost is worth it if you are someone who really likes to keep their drivers updated. However, even though Driver Easy has less features, I found using the program was a much better experience. When you open the program and use it, there are no annoying banner ads or popups, even in the free version. When you perform a scan, it’s also a lot more useful because it not only found more outdated driver, it also lists everything that has a driver on your computer and shows it to you in a list format. Anything that needs attention shows up at the top with a little exclamation icon to the left of it. Click on Get Drivers and you can click to download each driver individually painfully slow. Here you’ll see the options to try and get you to upgrade. If you click the Download All button, it’ll show you a dialog to buy the Pro version. 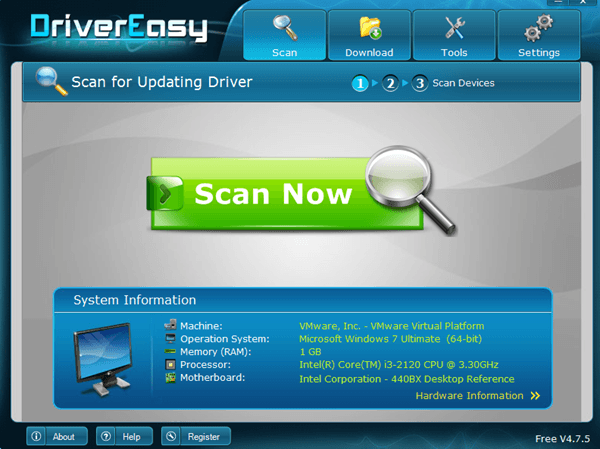 Overall, Driver Easy has fewer features, but does a better job of finding and updating drivers. With the paid version, the process is seamless and works great even on Windows 8.1. Driver Magician is the last one I mention because you can use it for free for 15 days and then you either have to buy it for $30 or uninstall it. Again, like Driver Easy, the program has a nice interface, clutter and ad free. The trial versions works partially and you can use it to backup all your drivers, which you can use independently of the program since they are just driver files stored in a folder. When the program starts, it’s going to ask you to update the device driver database, so go ahead and let it complete the updates. Then go ahead and click on Update Driver and it’ll perform a scan of your computer. 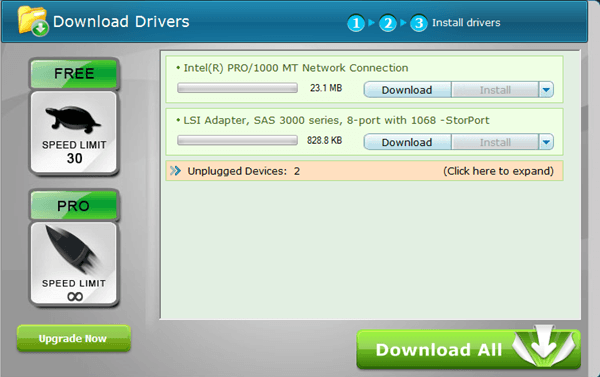 It’ll list the drivers that need to be updated and you can click the Download button to start downloading. However, this is the partial part I was talking about earlier. The trial version won’t let you download the driver unless you register the software, so you pretty much have to buy the software if you want to update drivers. Again, if you’re willing to pay for this type of software, this is probably your best choice. If you use another program to update your device drivers, let us know in the comments. Enjoy!